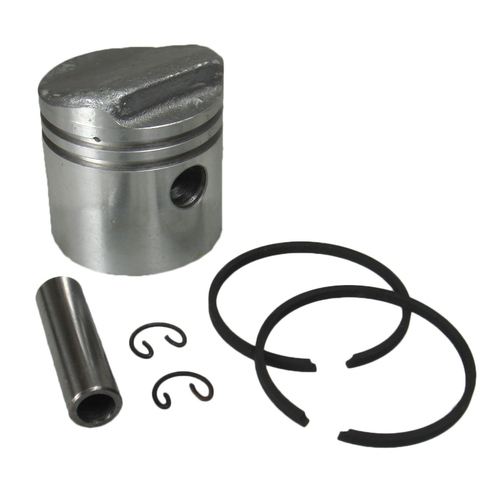 A British Seagull® Piston complete with piston rings, gudgeon pin and gudgeon pin circlips that transfers force from expanding gas in the cylinder to the crankshaft via the connecting rod. Which British Seagull Gasket Set is suitable for my engine? 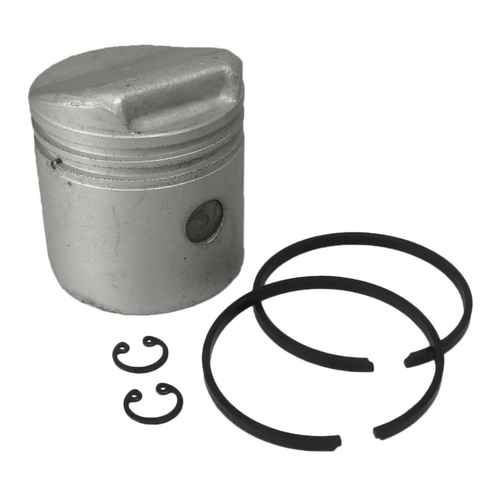 50/1296 - This British Seagull part is suitable for all Forty Series engines including, SJM, F, GF, FS, GFS, EFS, EGF, AF, EF, SEF, TSEF, SJP, FP, GFP, EFP,FPC, GFPC, EFPC, SEFPC, TSEFPC, EFPW, AFPW & EGFPW. S1296 -This British Seagull part is suitable for all Century, EFNR and Model 102 engines including LLS, W, CP, WP, CPC, WPC, S, WS, WSC, ESC, SP, SPC, WSPC, ESPC, EFNR, AC, TC, WC, AD, TD, WD, ED, AHC, THC, WHC & EHC.